May 3, 2013… Des McAnuff was invested into the Order of Canada at a ceremony presided over by the Governor General in Ottawa this morning. The Stratford Festival extends heartiest congratulations to Mr. McAnuff, who was Artistic Director from 2008 through 2012, and is currently directing Tommy, a musical based on the album by The Who, which he helped composer-lyricist Pete Townshend create. The country’s highest civilian honour, the Order of Canada recognizes a lifetime of outstanding achievement, dedication to community and service to the nation. Des McAnuff has made outstanding contributions to the arts. An accomplished director of Shakespeare, opera and musical theatre, as well as a writer and composer, he has been the creative force behind such award-winning productions as the Broadway hits Jersey Boys and The Who’s Tommy. He has also distinguished himself as the artistic director of the Stratford Shakespeare Festival, where he has created opportunities for Canadian playwrights and has cultivated the talents of Canadian directors and actors. “On behalf of all of us at the Festival, I congratulate Des on this richly deserved honour,” says Artistic Director Antoni Cimolino. “His outstanding accomplishments, both here in Canada and on the world stage, have given this country much to be proud of, and I am delighted to see them recognized in this most befitting manner. Last year theatregoers were delighted by Mr. McAnuff’s productions of Henry V andA Word or Two, a new work written, arranged and performed by Christopher Plummer. At the conclusion of the season, Mr. McAnuff returned to La Jolla Playhouse in California to première another remarkable new musical, Yoshimi Battles the Pink Robots, which he co-created with Wayne Coyne of the Flaming Lips. In 2011 Mr. McAnuff directed the Festival’s celebrated production of Twelfth Nightstarring Brian Dennehy and Stephen Ouimette, which was also filmed for release in cinemas. His acclaimed production of Jesus Christ Superstar opened on Broadway in March 2012, after enjoying an extended run at Stratford and then at La Jolla Playhouse. Also that year, Mr. McAnuff opened the second North American tour of Jersey Boysin Philadelphia. He directed a new musical production of Doctor Zhivago, which played in Sydney, Melbourne and Brisbane, Australia, and then in Seoul with an all-Korean cast. He directed Gounod’s Faust for the Metropolitan Opera starring Jonas Kaufmann, René Pape and Marina Poplavskaya. This production was filmed and shown in cinemas worldwide. His Stratford production of The Tempest, starring Christopher Plummer, was also released in cinemas in the U.S. and Canada, as was his production of Caesar and Cleopatra, with Mr. Plummer, in 2009. During his tenure as Artistic Director, Mr. McAnuff worked to reaffirm the Festival’s status as a leading international institution, where the great Canadian masters of theatre stand shoulder to shoulder with acclaimed actors and directors from beyond Canada’s borders. He built a diverse company that more truly reflects the ethnic makeup of the Canada we live in today, with outstanding actors of colour constituting a significant proportion of the company. He created new opportunities for the Festival to cultivate young talent through the Michael Langham Workshop for Classical Direction, which since 2010 has given more than 25 emerging Canadian directors an unparalleled opportunity to develop their skills. He also increased the Festival’s commitment to the commissioning, development and production of new Canadian drama. Through the annual Playwrights Retreat, established in 2008, and a series of other residencies, he made the Festival a natural home for Canadian playwrights, with more than 60 playwrights participating in these programs. In addition, roughly a dozen playwrights were commissioned during Mr. McAnuff’s tenure. Mr. McAnuff, who is a two-time Tony, Olivier and Dora award-winning director, received an honorary doctorate from his alma mater, Ryerson University, in 2011, and was presented with the Governor General’s Performing Arts NAC Award last year. SOLD OUT – Tommy social media meet-up 2013! Thank you to everyone who bought tickets to our social media meet-up on May 17 – we’re now completely sold out for the pre-show reception and the promotion has ended! Tickets can still be purchased to for the 8:00 p.m. performance of Tommy. If you missed getting a ticket to this social media meet-up, fear not – we’ll be hosting a few more meet-ups during the season. We’re launching our 2013 social season with a meet-up just for you, our loyal social media followers! On Friday, May 17, we’ll be throwing a party from 6:30 to 7:30 p.m. in the Chalmers Lounge (upstairs at the Avon Theatre), followed by a performance of Tommy. Photo Credits: Robert Markus. Foreground: Joshua Buchwald. Photo by Don Dixon. Join us for a chance to win exclusive Tommy swag, as well as free play on our Tommy pinball machine, a chance to check out our new pinball computer game and delicious appetizers and desserts prepared in-house by our Greenroom chef (we’ll also have a cash bar for those interested). You’ll get an exclusive look at some of the new digital creations that we’re launching this season, including our very first Stratford Festival video game for smartphones and tablets! 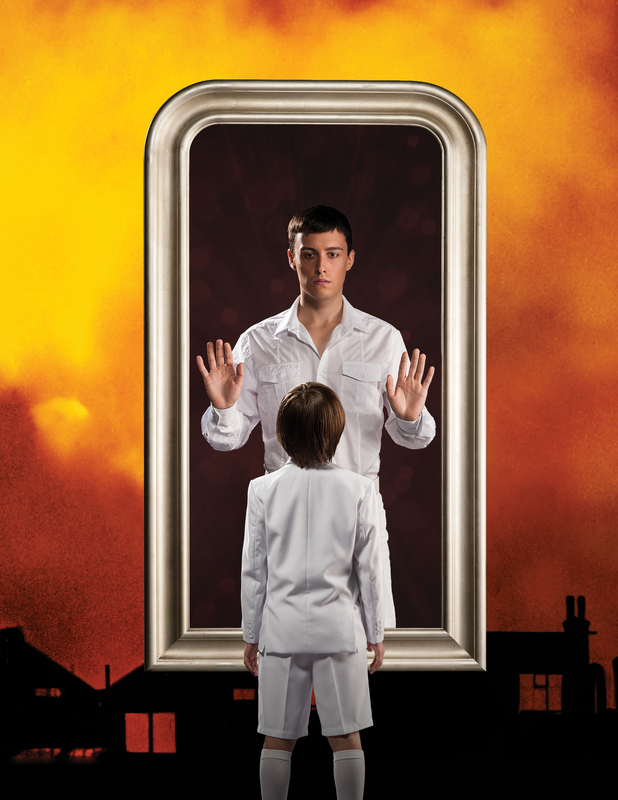 After the reception you’ll have some time to browse through our Theatre Store before enjoying a performance of Tommy. The best part, besides connecting with friends old and new – this whole evening costs just $39 per person! * Space is limited, so be sure to get your tickets early. We’ve created a Facebook event using Stratford Social Ticketing, but you can also book your tickets online if you’re not a Facebook user. Here’s what you need to do to RSVP to this event! 4) If you have friends going, you’ll be able to see where they’re sitting in the theatre (if their security settings allow) and book your seats in the same area! 5) Select your seats and check out! Not on Facebook? You can still book through our website. 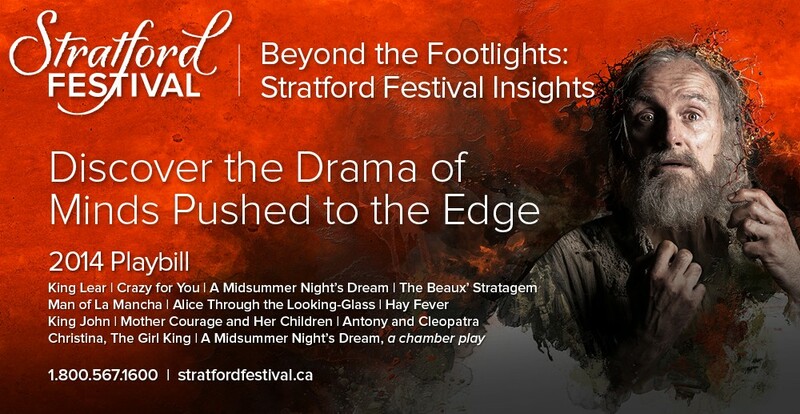 1) Log into www.stratfordfestival.ca using promotion code 48388. 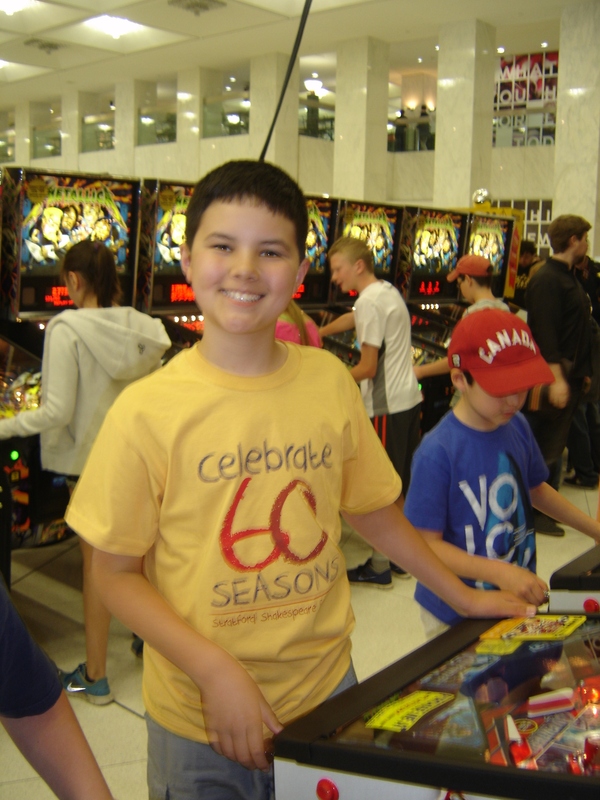 Can’t get enough of Tommy or our pinball game? 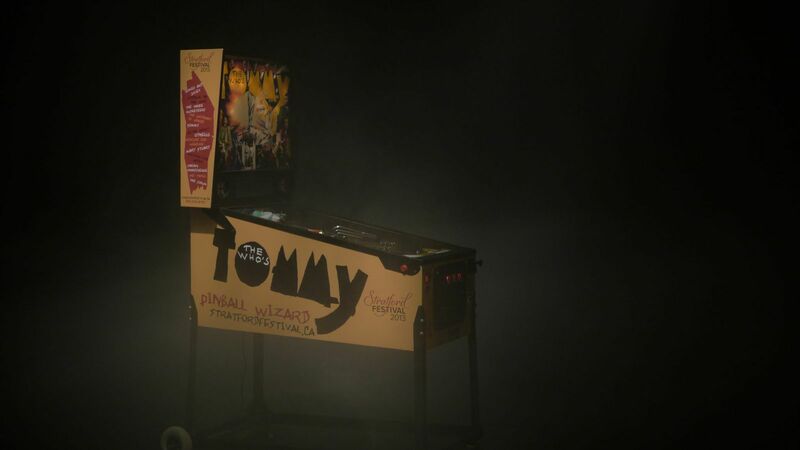 Join us on May 16 at First Canadian Place in downtown Toronto for Pinballapalooza – a day of free play on 100 pinball machines, with live performances from the cast of Tommy in the afternoon! We’ll also try to set a Guinness World Record – so come out and help us make history! For more information about Pinballapalooza, visit our website. *Promotion may expire without notice. Space is limited. Offer is valid only on A, B and C seating, and only online through Stratford Social Ticketing or our website. Promotion may not be combined with any other offers or applied to previously purchased tickets. Ticket covers admission to the pre-show reception in the Chalmers Lounge as well as the performance of Tommy. Some conditions may apply. Sweet savings for you and your Valentine – BOGO! love story ever told – Romeo and Juliet. Helmed by critically acclaimed director Tim Carroll, this production promises to be one show that will be a must-see! The role of Juliet will be played by Festival favourite Sara Topham, who’ll appear alongside tall, dark and handsome Festival newcomer Daniel Briere as Romeo. If a classic rock musical is more your style, join us for Tommy – a rock opera based on the The Who’s album by the same name. Former Artistic Director Des McAnuff – who co-wrote the book for Tommy with Pete Townshend and directed the Tony-Award winning Broadway production in 1993 – will be back to direct this amazing show. Tickets won’t last long! If you’re a romantic rocker, don’t feel forced to choose – join us for both Tommy and Romeo and Juliet! Variety is the spice of life! Here’s all the information you need to know to take advantage of this limited-time promotion! 3) Select your seats and check out! This sweet deal is only available until February 14, so don’t delay! Your valentine will thank you! * Offer may expire without notice. Not valid on MMP performances. Offer not available in A+ seating category and is only available until February 14, 2013. Promotion only applies to adult pricing. May not be combined with any other offers. Only available through Stratford Social Ticketing on our Facebook page only. Promotion excludes opening night performances of Romeo and Juliet and Tommy. A big $20.12 thank you! We’ve had a fabulous time celebrating our 60th season with all of our social media followers, and we want to mark the season’s end with a special “thank you” event. We love engaging with you on a daily basis – listening to your reviews and suggestions, talking about theatre with you, and sharing unique and interesting Festival content. Your involvement with us has helped to make this season a spectacular success. Log into our website (or create an account and log in) with promotion code 46255. 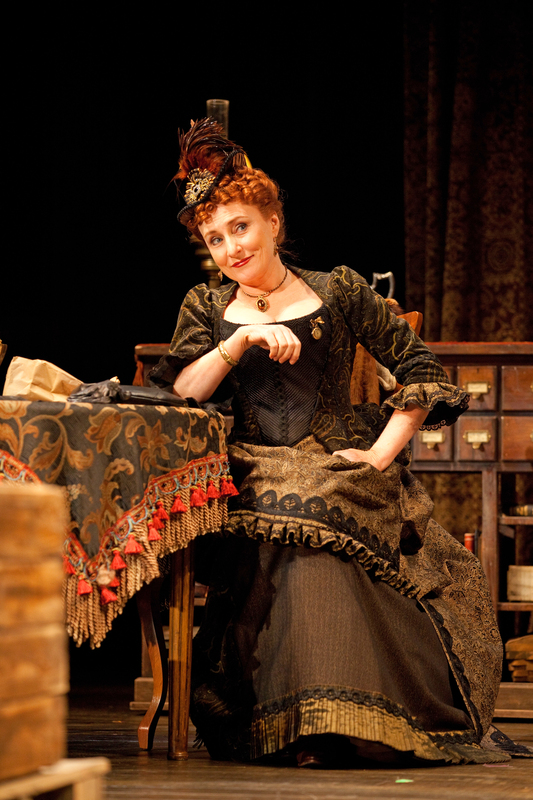 Select the October 25 performance of The Matchmaker from the calendar. Select Social Media Thank You Night as the price type. Select your own seats and complete your checkout. We’re looking forward to meeting with you, reminiscing about our 2012 season and sharing a bit of information about 2013! Pssst – don’t forget that Seana McKenna will be joining us for a Facebook Q&A on October 12 from 10 a.m. until noon! View more photos from The Matchmaker here! *Price covers admission to the pre-show reception as well as your theatre ticket. Valid only for the October 25 performance of The Matchmaker in A, B or C seating categories. Available online and through Stratford Social Ticketing only. Some conditions apply.